I was very pleased with the efficiency of the team that did the job, and left the house neat and tidy – 10th August 2014. We were grateful for the professionalism and tidy way the work was so quickly carried out – 21st July 2014. On behalf of myself and the Executive Committee of 3rd Poole Scout Group, I would like to take this opportunity to express to you and your team our thanks for your professional assistance with the refurbishment of the Lady Lyle Scout Hall in Poole, Yours in Scouting, D Thornton – 10th October 2014. I have been using the services of ACL for the last 2 years and have always found them to be very professional and reliable, their workmanship is excellent and they always put the clients interests first we would have no hesitation in recommending them in the future. 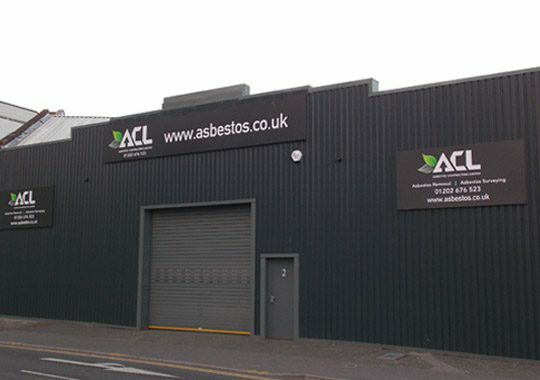 Due to the non delivery by two of our clients contractors, we appointed ACL to complete asbestos removal works that lasted approximately 6 months, in very difficult surroundings, they carried out these works with no fuss, and exactly to our required timescale very much appreciated. I would not hesitate to recommend. Really pleased with the service and won’t hesitate to recommend your company to others – 2nd March 2015. We have been very impressed by your company. It has been an absolute pleasure dealing with you all. Can I take this opportunity to personally thank you and your team for the superlative service from start to finish. When we first discovered the asbestos there was potentially a catastrophic ‘knock on’ effect to the project as a whole. However, due to the efficiency of your Team, this was mitigated somewhat…it is not often that you work with a company who ‘do their best’ to help you out of a bad situation….and that is exactly what you all did. A massive thank you from both Myself and the Team our end….a pleasure to work with you guys.